Suspecting there’s more to your sleepless nights than just the loud snoring? You may be right. What is sleep apnea? Do I have it? Often referred to as ‘obstructive’ sleep apnea (because it obstructs sleep – including breathing). It is the result of a collapse of a person’s upper airway when sleeping, interrupting airflow and therefore reducing oxygen levels to almost critical levels when sleeping. A person with sleep apnea may stop breathing for up to a minute! It is severely undiagnosed in many parts of the world, and those who suffer from it are typically unaware of it. The most common signs of obstructive sleep apnea include loud snoring, and even gasping or choking during sleep. It is often noticed first by your spouse or partner, so consult him or her first. Also, if you’re experiencing restless sleep and chronic daytime sleepiness, then chances are you have sleep apnea. What treatments are available out there? If you just have a minor case of sleep apnea, your doctor may recommend lifestyle changes, such as quitting smoking or losing weight. If you have nasal allergies, your doctor may recommend allergy treatments. However, if these measures don’t work on your sleep apnea, or if your case is moderate or severe, there are a plethora of options available. CPAP medical machines are presently the most recommended treatment for people who suffer from obstructive sleep apnea. You may check fisher and paykel cpap to view industry-leading machines that may be recommended by your doctor. You may purchase it directly online and have it delivered to you for convenience. With CPAP, the air pressure is a little higher than that of the surrounding air, and is enough to keep the upper airway passages open. This prevents sleep apnea as well as your snoring. 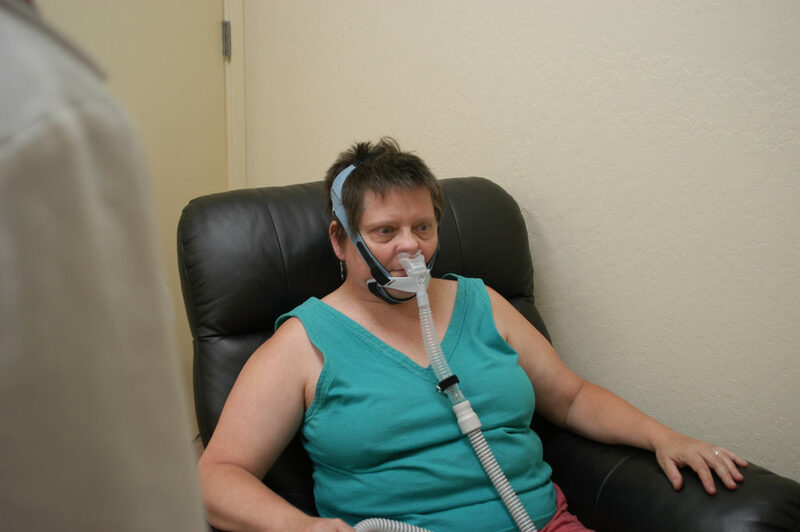 Even though CPAP is the most reliable and common therapy for treating sleep apnea, some people find it uncomfortable or cumbersome. Many would just give up, but with a bit of practice, you can learn to adjust the tension of straps to get a personalized and comfortable fit. There are a couple of products available online to find a mask that’s comfortable for you. Many people benefit and adjust better when using a humidifier along with their CPAP machines. Don’t stop using your CPAP machine even if you experience problems. Consult your doctor so he or she can assist you with modifications to make it more comfortable. If you find CPAP to be a problem for you despite continuous modification and practice, then you may be able to use a different kind of airway pressure device that adjusts automatically while you sleep. Devices that supply bi-level positive airway pressure can also be used. These provide more pressure when you inhale and less when exhaling. These are small devices that are placed over each of your nostril before bedtime. The device is a valve that lets air flow freely in, but when exhaling, air goes through small holes in the valve, increasing pressure in the airway and keeping it open. If you can’t tolerate CPAP, another option is using an oral appliance that’s designed to keep the throat open. While CPAP is more effective than oral appliances, oral appliances can be easier to use. Most are designed to open your throat by bringing the jaw forward, which can sometimes relieve mild obstructive sleep apnea while relieving snoring. This procedure is called uvulopalatopharyngoplasty. The doctor removes tissues from the mouth’s rear as well as the top of the throat. The tonsils and adenoids are typically removed as well. Take note that this type of surgery may be less effective in stopping sleep apnea and snoring than CPAP. This procedure puts plastic rods into the soft palate after the patient receives local anaesthetic. The jaw is moved forward from the facial bones, enlarging the space behind the soft palate and tongue, making obstruction less likely. Used only if other treatments have failed and if you have a severe, life-threatening sleep apnea. This procedure creates a new air passageway by opening your neck and inserting plastic or metal tube where you can breathe. Cigarette smoking worsens the swelling of the upper airway, making obstructive sleep apnea and snoring worse. If you’re overweight, then it’s vital that you take this action while curing your sleep apnea. CPAP only treats it, but weight loss can cure it if you’re overweight. Consuming alcohol can cause frequent night time awakenings, and allows the upper airway breathing muscles relax, which causes snoring and sleep apnea. Can I tough it out? What happens if I left it untreated? Not a good idea. If left untreated, the restlessness and fatigue associated with sleep apnea can adversely affect your quality of life. It will make focusing on even the simplest task difficult, decreasing your productivity at work while increasing the risk of errors and accidents in daily activities. And that’s not even the least of it. Sleep apnea is also linked with a number of serious health conditions such as clinical depression, diabetes, heart diseases, daytime fatigue and even weight gain and sexual dysfunction. Disregarding sleep apnea can aggravate the symptoms of these health conditions, which in most cases can be life-threatening. Do you believe that you or a loved one has a sleep apnea? If so, talk immediately with your doctor about getting diagnosed. You may ask for fisher and paykel cpap right after the consultation and acquire it online in the privacy of your own home. The benefits of a good sleep are life-changing.